It seems that almost everyday a new piece of technology is brought to market. Whether it is a new cell phone, tablet, watch, television or car feature, technological advances often make our lives easier, more efficient, and more enjoyable. In our world of ever changing technology, advances in modern dentistry are just as evident. At our West Caldwell dental office, we utilize the most advanced methods and use the latest technological advances to provide our patients with the highest quality of care. Our ability to diagnose and treat dental problems is made much more efficient, and therefore more pleasant for our patients because of these advances. In this article, we will explain how we use these developments in technology to better serve you. 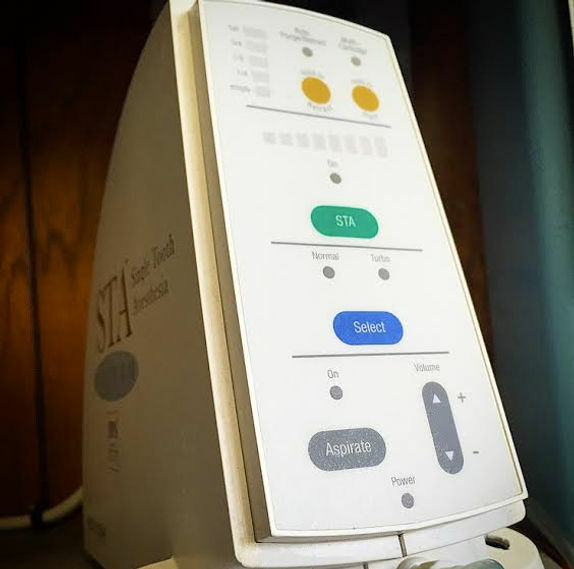 The Single Tooth Anesthetic (STA) machine allows us to provide a painless, stress-free injection of local anesthesia by using a computer-regulated flow of anesthetic. The computer monitors the site being numbed, and slowly administers local anesthetic to the area. With this technology, we achieve instant, profound anesthesia of specific teeth, which means the patient’s tongue and lips no longer need to feel numb for hours after the procedure in order to treat a single tooth! Our goal is to provide preventive care and educate our patients of their dental needs. We know that the best way for our patients to understand their oral health is to be able to see what we see. For that reason, we use our integrated intraoral camera system to take photographs of areas of concern before treatment, during treatment, and post-operatively so patients can see and understand their treatment in all stages. Another essential tool in diagnosis and patient education are digital radiographs. We use the safest, most efficient, and most diagnostic digital radiograph system in order to best treat our patients. These instant images require far less x-ray dose than conventional films, are crystal clear, and can be magnified and sharpened, all at the click of a button on one of our computer screens. We always review these pictures with our patients and demonstrate any areas of concern. Dental technology has come a long way in the last few years. We are excited to be part of these technological advances and look forward to using treating your needs with state-of-the-art equipment for years to come!